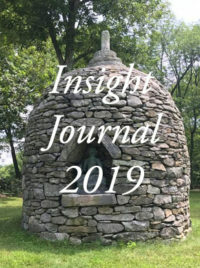 In this article, I continue to explore the topic of mindful eating, broached in the previous issue of this journal, from the viewpoint of its potential to arouse insight. I begin by contrasting King Pasenadi’s tendency to overeat with the exemplary way the Buddha took his meals. Then I explore the distinction between worldly and unworldly feeling tones and survey passages relevant to the topic of fasting. In the final part of the article I turn to the insight potential of mindful eating. In a recent contribution to this journal on “the influxes and mindful eating”, I took up instructions on mindfulness given to the overeating King Pasenadi. In what follows, I place these instructions in a wider context by exploring various passages from selected Pāli discourses that in one way or another are relevant to the topic of taking food. A stark contrast to Pasenadi’s attitude towards food, at least before he received instructions on mindful eating, is provided by the Buddha himself. Both were members of the warrior class, hailed from the same area in ancient India, and were of the same age (MN 89). Yet, due to the way they had developed their lives from a similar starting point, their eating behavior could hardly have been more different. The Discourse to Brahmāyu, the Brahmāyu-sutta (MN 91), offers a detailed description of the exemplary way in which the Buddha took his food. Besides doing so in a manner that was pleasing and inspiring to an observer, the mental freedom he had reached through awakening manifested in his ability to experience the taste (rasapaṭisaṃvedī) without experiencing lust for the taste (no ca rasarāgapaṭisaṃvedī). This provides a significant perspective on eating. Tasting as such is not a problem; in fact it is part of the digestive process. The problem is when such tasting leads to, or occurs in conjunction with, addiction and defilements. The reference in the Discourse to Brahmāyu to lust, rāga, in relation to taste points to the relevance of the corresponding underlying tendency (anusaya). In an earlier contribution to this journal on the topic of such “underlying tendencies”, I suggested relating their presence or absence to the distinction of feeling tones, vedanā, into worldly and unworldly types. Distinguishing between what is worldly (sāmisa) and what is unworldly (nirāmisa) is part of the instructions on contemplation of feeling tones in the Satipaṭṭhāna-sutta (MN 10). This is based on a distinction of feeling tones into three types: pleasant, unpleasant, and neutral. The task of mindful contemplation is to distinguish these three types further into worldly and unworldly occurrences. According to a discourse in the Aṅguttara-nikāya, this reflects the variety of feeling tones (AN 6.63). The implications of the two terms, worldly and unworldly, require further examination. Particularly relevant for this purpose is a discourse in the Saṃyutta–nikāya, which uses these two terms in a way that clarifies their implications (SN 36.29). The discourse distinguishes between joy and happiness (as well as equanimity) that are worldly, unworldly, and more unworldly than unworldly. Sensual pleasures derived from experiences through the five senses fit the first case: worldly joy (pīti) and worldly happiness (sukha). At first sight, this could give the impression that the difference between worldly and unworldly can be mapped onto the distinction between sensory and mental. Yet, closer inspection shows that this is not the case. In fact, the discourse distinguishes between “unworldly” and “more unworldly than unworldly” joy, happiness, and equanimity. Here the qualification “unworldly” could hardly intend “mental” in contrast to “sensory”, as applying this to “more unworldly than unworldly” would result in the qualification of experiences as ‘more mental than mental’. Such an idea fails to make sense. A proper appreciation of the implications of the qualification “worldly” can benefit from clearly distinguishing what is “sensual” from what is “sensory”. Fully awakened ones still experience the whole range of sensory experiences, but they do so without sensual desire. The Buddha’s consumption of food without any lust for its taste is a case in point. The problem of sensuality is not a property of the objects of the senses themselves. Instead, it is due to an unskillful mental reaction towards them. Returning to the Saṃyutta-nikāya discourse in question, joy and happiness of an unworldly type find their illustration in the experience of deep concentration. This refers in particular to the first or the second absorptions (unworldly happiness by itself and unworldly equanimity relate to the third and fourth absorption respectively). Now the Discourse on Mindfulness of the Body, Kāyagatāsati-sutta (MN 119), includes the experience of the absorptions in a range of practices related to the body. According to the relevant passages, with the first and second absorption a practitioner’s whole body is thoroughly pervaded with joy and happiness. This text does seem to consider these absorptions to be embodied experiences. This implies that qualifying an absorption as “unworldly” does not set mental experience in opposition to the five physical senses. This holds even though the experience of the body in deep concentration differs from the way the body is experienced in daily life. Joy and happiness that are more unworldly than unworldly (nirāmisā nirāmisatarā) are in turn the fruit of awakening. They occur when awakened ones examine the freedom from defilements in their minds. This last case confirms that the distinction between what is worldly and what is unworldly relates to the ethical quality of the mind in which joy or happiness occur. It concerns what, from the standpoint of progress to liberation, is indeed “worldly”, namely indulgence in sensuality. The Saṃyutta-nikāya discourse in fact explicitly relates worldly joy, happiness, and equanimity to experiences that are “connected to sensuality” (kāmūpasaṃhitā). In contrast, the absence of sensuality and lust is in turn “unworldly”. The relationship of the qualification “worldly” to what is unwholesome can also be seen in a discourse in the Aṅguttara-nikāya (AN 2.5.7), which describes monastics who praise each other in front of lay supporters in order to gain material gifts. Such monastics value what is worldly, āmisa, and thereby stand in contrast to monastics who instead value the Dharma and do not engage in such reprehensible behavior. When evaluating the distinction between worldly and unworldly in relation to feeling tones, it needs to be noted that vedanā is not in itself an intentional mental quality. However, feeling tones occur in states of mind that can be wholesome or unwholesome. Here mindfulness of feeling tone can help to note the ethical quality of the state of mind. The pleasant feeling tone of sensuality differs from the pleasant feeling tone of absorption attainment. Sensuality arouses worldly pleasant feeling tones, whereas the lower absorptions arouse unworldly pleasant feeling tones. In this way, the distinction of feeling tones into worldly and unworldly occurrences can serve as a tool to discern the overall ethical quality of the mind. According to the standard description in the discourses, absorption attainment takes place “secluded from sensuality, secluded from unwholesome states” (vivicc’eva kāmehi vivicca akusalehi dhammehi). Yet, such seclusion is temporary. On emerging from absorption, sooner or later sensuality and unwholesome states can arise again. This is no longer the case when awakening has been attained. At this point, neither sensuality nor unwholesome states can recur. It would be for this reason that joy and happiness (as well as equanimity) related to full awakening are “more unworldly than unworldly”. This in turn helps to relate the distinction drawn in the Satipaṭṭhāna-sutta between worldly and unworldly feeling tones to the topic of eating. The feeling tones experienced by the Buddha when partaking of food must have been unworldly, due to the complete eradication of any lust in his mind. This holds even though these feeling tones arose in relation to the sense-door of the tongue and thus were sensory feelings. In contrast, King Pasenadi must have been experiencing worldly type of feeling tones when overeating. For this reason, he had to learn to cultivate mindfulness while eating. This would have helped him to overcome lust for taste at least to the extent of no longer overeating. The relationship that emerges in this way between mindfulness of worldly feelings and mental states of lust reflects a general link between the second and the third satipaṭṭhāna. Contemplation of worldly and unworldly feeling tones can facilitate the recognition of the ethical quality of the mind. This recognition then informs the first states of mind listed in the Satipaṭṭhāna-sutta for the third satipaṭṭhāna: the presence or absence of lust, anger, and delusion. The absence of lust, rāga, is precisely what distinguishes the Buddha’s experience of taste, in contrast to King Pasenadi’s addictive eating behavior. On this understanding, the instructions on mindful eating can be seen to illustrate the relationship between the second and third satipaṭṭhāna, where noting worldly feeling tones can alert to the presence of an unwholesome state of mind. The Buddha’s own freedom from lust in relation to taste was the outcome of his successful completion of his quest for awakening. In the course of this quest, he tried out various ascetic practices. One of these was fasting, in the sense of taking only very minimal amounts of food (MN 36). Despite having fasted to the extent of reducing his body to a pitiable condition, he did not realize awakening in this way. After his awakening, his attitude toward fasting became another expression of the principle of the middle path. In discussions with other practitioners who held fasting in high regard, the Buddha clarified his own position in this respect. In one instance, in the context of a discussion on reasons why his disciples honored and respected him, he is on record for pointing out that some of his disciples took much less food than he did (MN 77). Hence taking little food could not have been what motivated his disciples to respect him, otherwise those disciples who ate less than the Buddha would not have had any reason to honor him. According to another discourse, the Buddha noted that ascetics who underwent periods of fasting, but subsequently resumed eating to regain their strength, were just gathering together again what they had earlier left behind (MN 36). At the same time, however, the discourses also report the Buddha gradually introducing intermittent fasting to his monastic disciples, designating certain times when food should not be eaten. Even for lay disciples to refrain from food at the wrong time, vikāla, namely after noon, became the mode of conduct to be undertaken on special observance days. His recommendations for monastics in this respect were not necessarily received with enthusiasm. The injunction to take only a single meal per day met with immediate opposition by a monastic who, in front of the Buddha, flatly refused to adopt this type of conduct (MN 65). Even the Buddha’s recommendation to forgo taking a meal in the afternoon was already perceived as depriving his monastic disciples of the best meal of the day (MN 66). A whole group of monastics are on record for their unwillingness to follow the Buddha’s directive to refrain from eating at night (MN 70). The Buddha had formulated this rule by mentioning that he was at ease and healthy by not eating at night. The monastics in question reasoned that they felt quite at ease and healthy taking their meals at any time, hence why should they change? Monastics, because it is known by me, seen, experienced, realized, and contacted by wisdom thus: ‘When someone here feels a certain kind of pleasant feeling tone, unwholesome states diminish and wholesome states increase,’ therefore I say: ‘Abide established in such a kind of pleasant feeling. The discourse continues by applying the same principle to unpleasant and neutral feelings. In each case, the recommendation to abandon or else cultivate the respective feeling tone is determined by the ethical context within which it occurs and not by its hedonic quality. Any feeling tone related to an unwholesome mental condition should be avoided. Such feeling tones can safely be reckoned to correspond to the worldly types mentioned in the Satipaṭṭhāna-sutta. In contrast, unworldly feeling tones of all three types are commendable, because they are related to a mental condition that is wholesome. Monastics, with penetrative understanding of the nutriment of edible food, lust for the five strands of sensuality is penetratingly understood. With penetrative understanding of lust for the five strands of sensuality, there is no [longer] the fetter due to which, on being bound by that fetter, a noble disciple would come back to this world. In other words, the cultivation of insight in relation to food can have such a powerful effect that it can ripen insight in relation to sensual indulgence in general. Once that has been penetratingly understood (an expression that implies a profound type of understanding with a liberating effect), non-return can be attained. With this third level of awakening attained, there will be no more returning to the material world. The reason is that the promises of sensual delight, offered by the material world, have lost all of their former attraction. In this way, the daily meal can become an integral part of the path to awakening. All it takes is mindfulness in combination with a gradual fading of lust for tastes. Pahārada, it is just like the great ocean, which has one taste: the taste of salt; in the same way, Pahārada, this Dharma and Discipline has one taste: the taste of liberation.